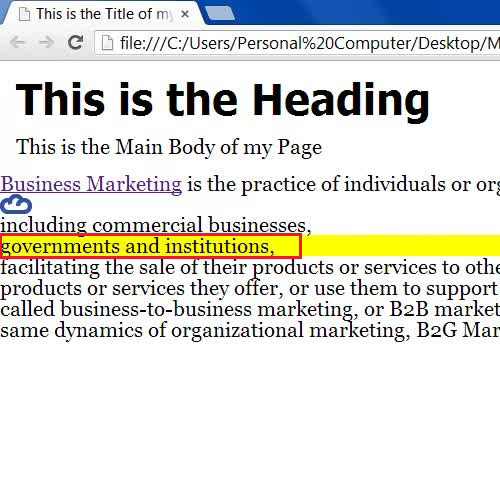 Due to this property, an Image or a text which is inserted in the Block tag is displayed identically on the web page. 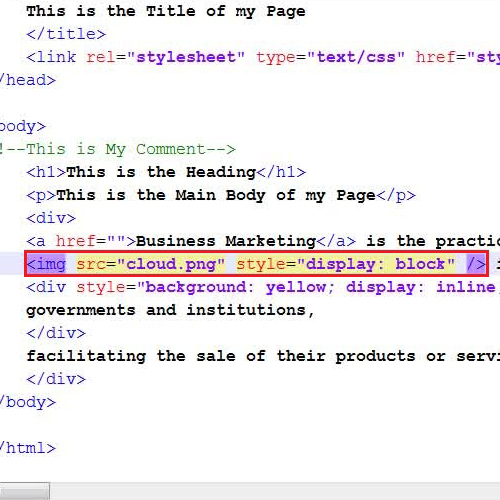 Here we will teach you how to block tags in a HTML and how it will appear on the web page. Add this code between the Image source and the closing tag. In the next step, save your changes and refresh your browser. 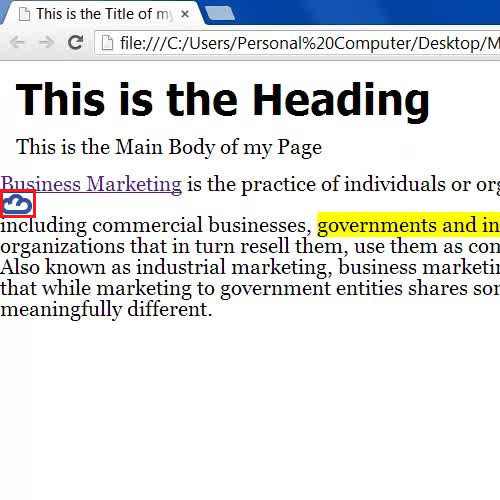 You will notice a cloud image appearing separately from the text as a block on the page. 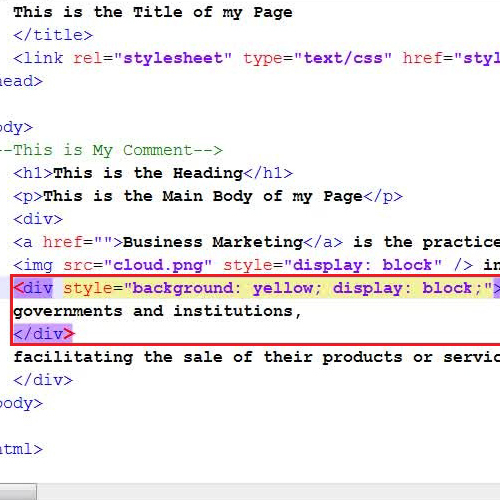 Next, go back to the source code and move over the “Div” tag of the inline text and replace it with “Block” tag. Once you have replaced the tags, save your changes and refresh the browser in order to view your selected text as a block tag on the page.